Our specialism is to provide RICS Help to Buy valuations and advice on paying back the Government’s Help to Buy Scheme and other such schemes such as First Buy and Home Buy Direct. We will advise you on the process required to redeem your Help to Buy with Target and provide the required Help to Buy valuation report which is specifically designed for redemption. A shared Equity Valuation is similar to a Help to Buy valuation but is specifically required for those properties which are usually held under a lease and owned by a Housing Association, Local Authority or similar. These Shared Equity Valuations are required by these organisations prior to marketing. 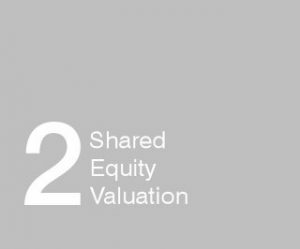 We specialise in providing these types of Shared Equity Valuation. 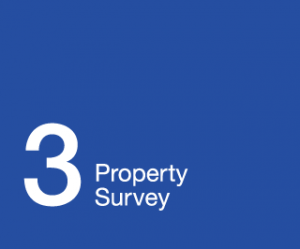 A property survey differs to a valuation such as a Help to buy valuation, Shared Equity Valuation or Mortgage valuation. This report will aim to identify defects with a property and consider future maintenance issues. It may not advise on valuation. There are different types of survey and the type required will usually depend upon the age and size of property. As a firm of RICS Regulated Chartered Surveyors, we have been established since 1991 but have had experience in the property market for over 35 years. We were one of the two recommended firms by Metropolitan and HOPS to carry out the Help to buy valuations nationally before the change to Target. Target do not make recommendations for either surveyors or solicitors. We also specialise in providing valuations for the Voluntary Right to Buy scheme and other shared ownership/equity schemes. FOR OUR HELP TO BUY AND SHARED EQUITY VALUATIONS, WE COVER A LARGE GEOGRAPHICAL LOCATION THROUGHOUT THE MIDLANDS, SOUTH AND WEST YORKS AND THE NORTH WEST. Our last Regulatory Review by RICS considered our approach to valuation and professionalism to be “Outstanding”. R J Harmer Ltd has been established for over 25 years and offers professional advice to a number of National Clients. Our services range from Part Exchange Agency to the specialism of Help to Buy valuations, property survey and valuation and New Homes sales and land agency. Our personal and professional approach has allowed us to develop on a National Basis and offer our clients a reliable and efficient service – indeed many of our national clients have been with us since we began. Our geographical area for Help to Buy valuations has a national coverage. We cover most of the Midland and Northwest cities, including Oxford, Leicester, Lincoln, Nottingham, Derby, York, Sheffield, Leeds, Birmingham and Manchester. Our regional counties include. Herts, Bucks, Cambridgeshire, Lincolnshire, Northamptonshire, Bedfordshire, Gloucestershire, Warwickshire, Leicestershire, Rutland, Nottinghamshire, Derbyshire, South Yorkshire, West Yorkshire, West Midlands, Worcestershire, Shropshire, Cheshire and Greater Manchester. Just a quick email to say thank you for the Valuation report, which already has been approved by Target HCA. Your prompt, efficient and reasonably priced service has been second to none. Also, thank you for very clear explanation of the redemption process. It was a pleasure working with you. Just a quick one to say that whilst I did not personally meet Richard on Monday, Alex said he was excellent, extremely helpful re: the process and gave lots of good advice, so we both appreciate your service, friendliness and professionalism. Russell Clarke Deputy Managing Director - HROC Public Relations – Bishops Itchington Warks. I did also mention about them recommending chartered surveyors such as yourself that already know the system and understand what was required. The operator was non-committal, but I thought that if enough people mentioned it, it may bring some change about. Thanks again for your help - all the best in the future! Wes Hearst – Anstey, Leicester. I am aware of your firm as we receive a lot of valuations from your organisation, which are excellent and all meet the criteria. I will definitely taking a look on the website and directing customers when they enquire. Abdi Hussein Team Leader for Hops/Metropolitan Help to Buy team. Thank you for your assistance with a valuation on my current property. I received a prompt, professional and a very knowledgeable service. The advice I received has enabled me to proceed with the redemption of a help to buy loan. Would you kindly pass on my thanks to Richard as his advice was very helpful. Are there any sites that I can make feedback on the service that has been provided by your company? Lorna Lloyd – Wombourne, Wolverhampton. We have been able to secure redemptions in minutes from the advice we offer to clients at the time of our RICS valuation. We know and understand the process with Target and will advise you accordingly. We provide more than just the RICS Help to Buy valuation. Our unique experience with Help to Buy and Target will help you redeem your loan quickly and efficiently. It is the specialist advice we give to you the client which makes us different. WE HAVE NOW COMPLETED OVER 1000 HELP TO BUY VALUATIONS AND DESKTOPS FOR THE REDEMPTION PROCESS.